A couple of weeks ago I came across the rather quaint advertisement above for the BMW 700. 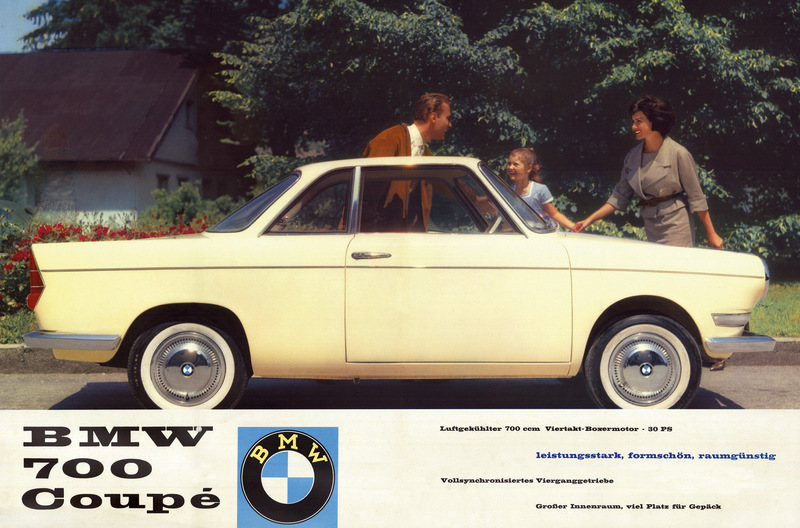 What started as an idea to post up a simple ad with a paragraph or two has taken me on a journey of discovery for the BMW 700. 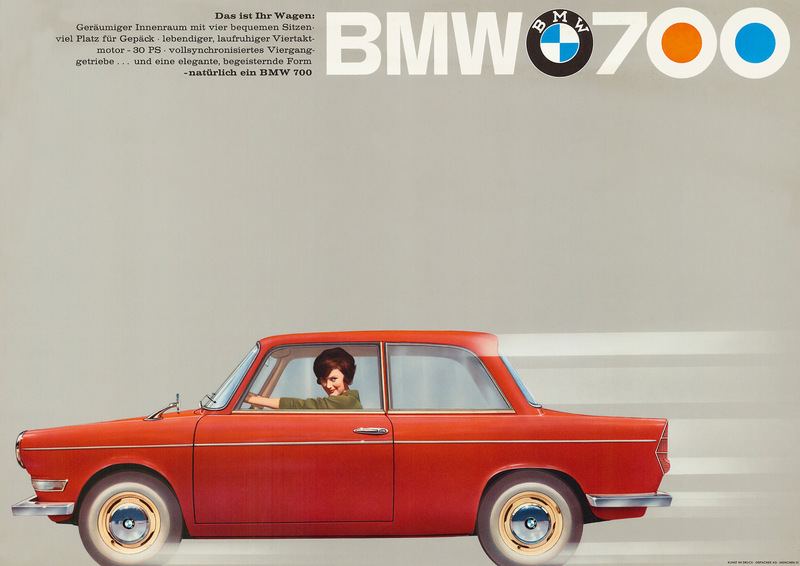 I have found some great historic photo and video material, along with an extensive press release from BMW, celebrating the car’s 50th anniversary. 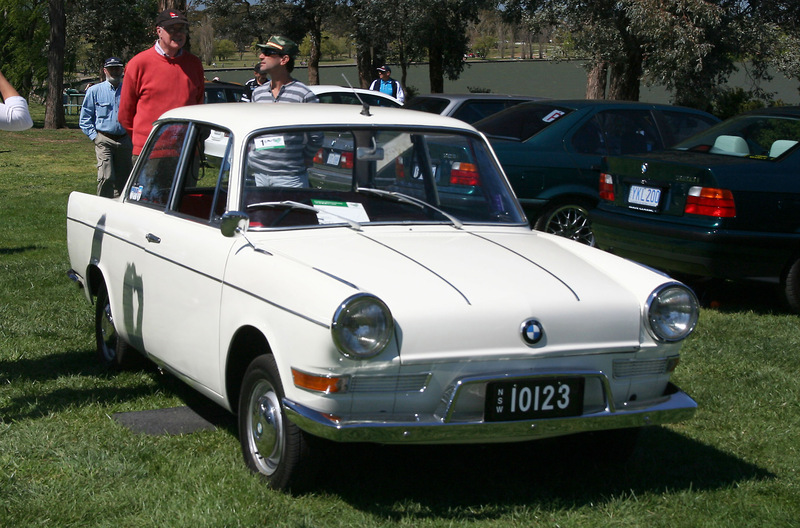 Despite the 1960s advertising claims, the BMW 700 is the lowest profile car featured in AUSmotive’s Past master series, but it is perhaps one of the most important, at least as far as BMW is concerned anyway. First, some more about this little car that could. 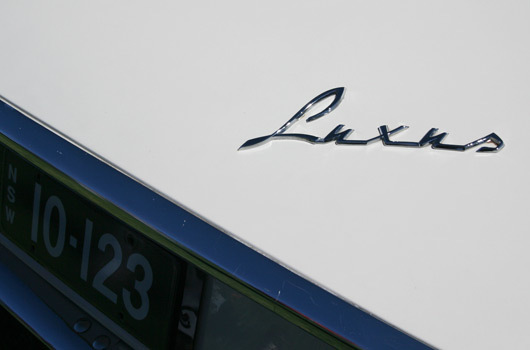 The 700 was built from 1959–1965 with over 190,000 units sold by the end of production. The two door Coupé was derived from the unsuccessful 600 model. 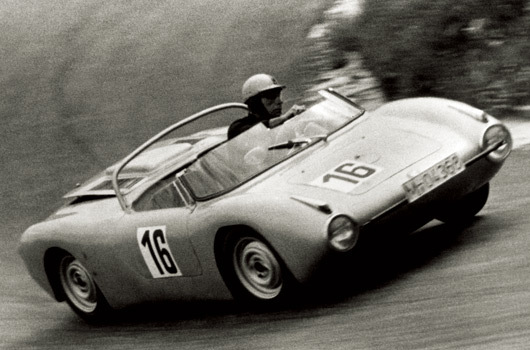 It was the first production BMW to utilise a monocoque chassis construction. The 700, as it’s name suggests, was powered by a 700cc engine (697cc to be precise), but that’s where the normal convention ends. By today’s standards the small car took the unconventional format of fitting the engine in the rear of the car and, more unconventionally, the engine was a boxer-style two cylinder unit. The 700 was an immediate success for BMW and it helped steer the company away from financial trouble, starting a new era of prosperity. In 1960, waiting lists for the car had blown out to several months, but BMW still sold 35,000 examples. This accounted for 58% of the annual revenue. BMW used the 700 to provide sporting success, too, by making a roadster style 700RS model. It is a stunning looking car. With a tubular space frame and an aluminium body the RS model had 70 horsepower. 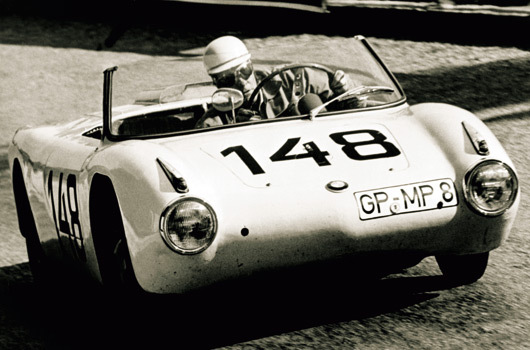 Again, not big numbers, but with the car itself weighing just 600kg and top speeds approaching 200km/h it’s no surprise to read the car achieved notable results, including the 1961 German Circuit Championship for Walter Schnieder. Hans Stuck, father of Hans-Joachim Stuck, also won the 1960 German Hillclimb Championship in a 700 RS. 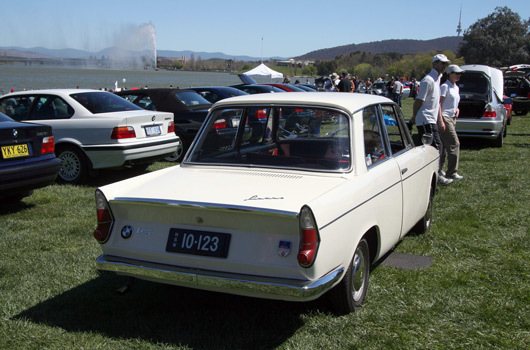 In 1962 BMW extended the wheel base by 32cm to make the 700 LS. Indeed, my first experience of the BMW 700 was at the 2008 German Autofest in Canberra where a 700 LS Luxus won best in show, you can see some pics of this car at the end of this article. 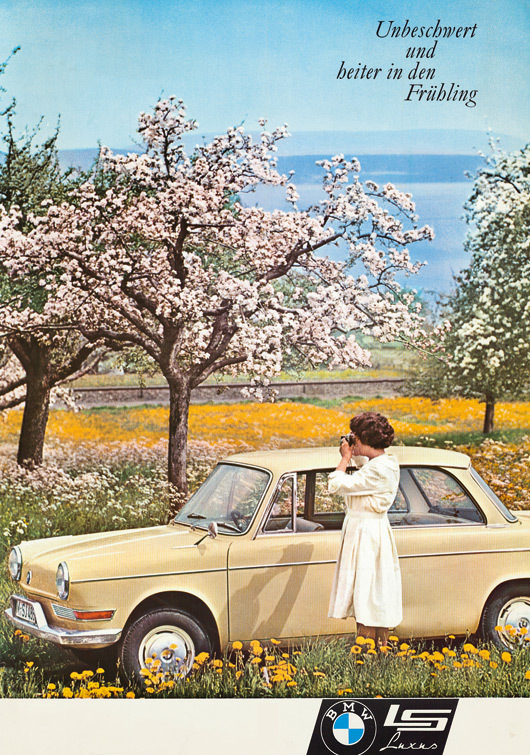 A series of fantastic period advertisements for the car can be seen after the jump, along with a number of images, all accessible in wallpaper-friendly sizing by clicking on the pics you like. More on the BMW 700 can be found at BMW700.net (not accessible with Firefox, use Explorer on PC or Safari on Mac OS). Enjoy! 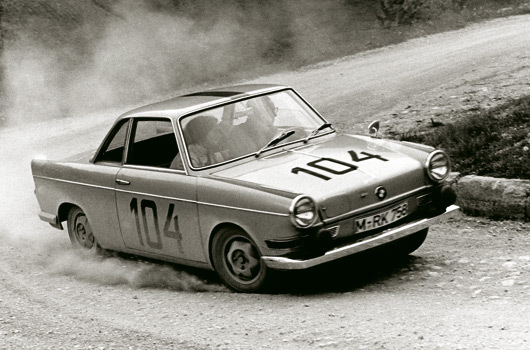 The BMW 700. The car that saved the Company. 03.06.2009 Munich – Things did not look good. Indeed, BMW was rapidly approaching the final collapse and demise of the Company in the 1950s: While motorcycle production had reached a new record in 1952, production figures decreased more significantly in the years to come than they had increased in the late ’40s. 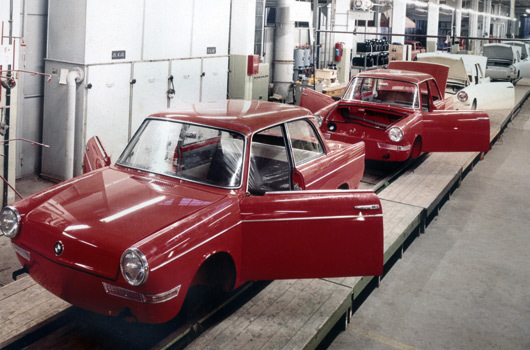 Looking hard for a solution, the Development Division initially attempted for economic reasons to build a conventional small car using as many parts of the BMW 600 as possible. Wheelbase was extended to 1,900 mm or 74.8″ by adding on extra sections front and rear, and the front seats were moved back to provide convenient access to the car from behind the wheel arches. But soon it became evident that without a further extension of the car’s wheelbase space for the rear seats would be very limited. At the same time the rapid increase in weight resulting from the car’s longer wheelbase was another problem, together with the poor seating arrangement. The reason for doing this in-house was that the prototype, while being very attractive and offering excellent driving qualities, would have been non-economical in production due to the expensive tooling required. 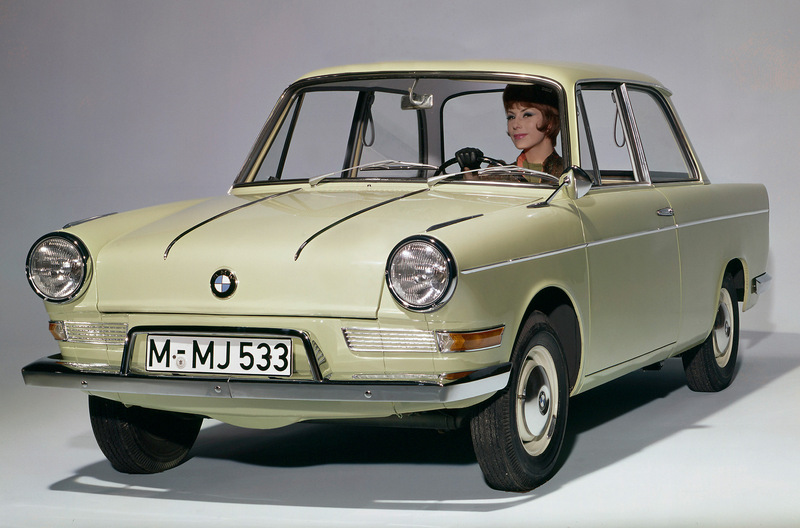 So working hard on all the details, BMW’s designers developed a dynamic little car which had nothing do to do with BMW design so far: the BMW 700. The minute Bönsch revealed the new Coupé, everybody started clapping. The journalists immediately admired the new model with its wheelbase of 2,120 mm (83.5″), front track of 1,270 mm (50.0″) and rear track measuring 1,200 mm (47.2″). 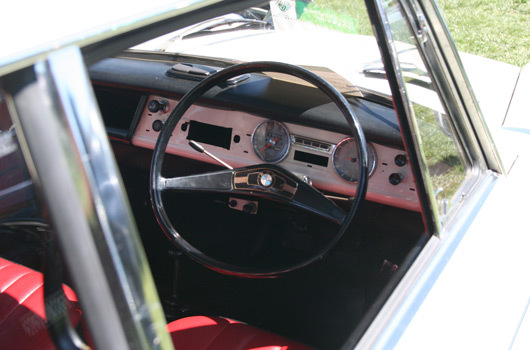 Boasting these dimensions, the BMW 700 had grown out of the small car class still prevailing in the market at the time and allowed a relatively high standard of freedom in providing extra space. The designers and engineers were particularly proud of the car’s consistent lightweight technology reducing dry weight to less than 600 kg or 1,323 lb despite the car’s overall length 3,540 mm or 139.4″, thus providing the qualities required for good acceleration and hill-climbing performance. 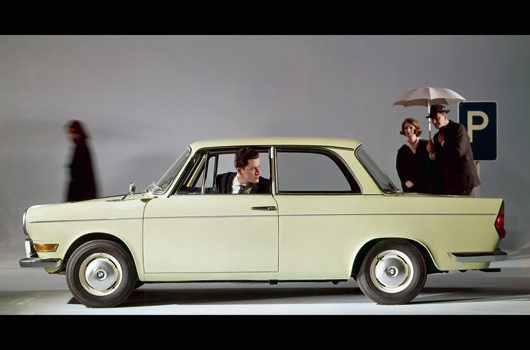 Compared with the BMW 600, the extension in wheelbase by 25 per cent came with an increase in weight by only 14.5 per cent. And despite its low height of just 1,270 mm or 50.0″, the Coupé offered acceptable headroom just like the doors measuring 93 cm or 36.6″ in width allowed unusually comfortable access for a car in this class. The BMW 700 was also well-equipped for travelling with a fair amount of luggage. The front luggage compartment with its conveniently flat floor was able to accommodate two standard-sized suitcases measuring 70 cm or 27.5″ in length, together with some smaller bags. The fuel tank was beneath the luggage compartment, perfectly protected by the spare wheel standing upright in front. Offering a capacity of 30 litres or 6.6 imp gals plus three litres reserve, the tank was sufficient for a cruising range of approximately 500 kilometres or more than 300 miles, since, according to the fuel consumption standards applicable at the time, the BMW 700 was quite happy with some six litres for 100 kilometres, equal to approximately 47 mpg imp. Retailing at a price of DM 4,760.–, the Saloon was almost DM 600.– cheaper than the Coupé with its higher level of equipment. At the same time the Saloon boasted a far more spacious body offering adequate space for four adults. And unlike the Coupé with its fl air almost reminiscent of a sports car, the Saloon stood out in particular through its practical features and benefits. 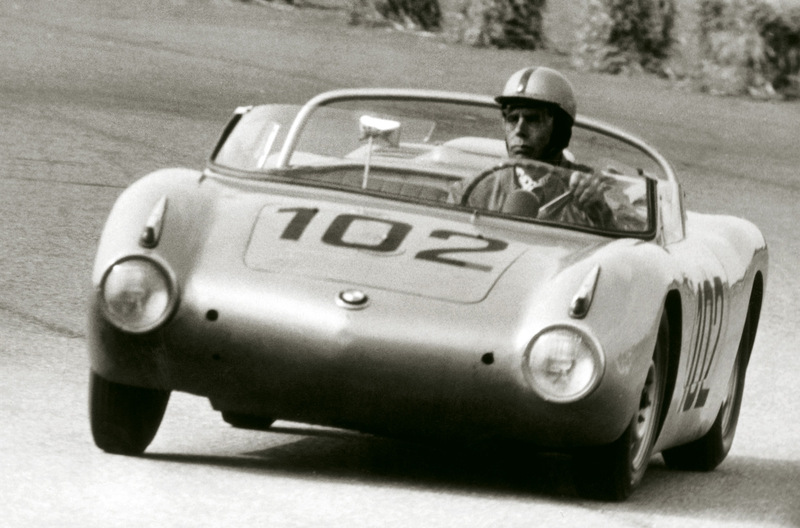 “When a new BMW sports car, the BMW 700 RS enters the Rossfeld Hillclimb Race on 18 June 1961, this will be in a quest to test the driving qualities of the BMW 700 at higher speeds and under more dynamic conditions,” said the announcement. BMW quickly added further versions to the range, making the BMW 700 even more successful: Following the regular BMW 700, the Company introduced the BMW 700 De Luxe in February 1961, featuring the same technical equipment but with an even higher level of appointments. The most exclusive model in the BMW 700 range launched at the same time was the BMW 700 Convertible, the Baur Coachbuilding Company in Stuttgart designing and building this open-air version of the BMW 700, as they had already done so often in the history of BMW. 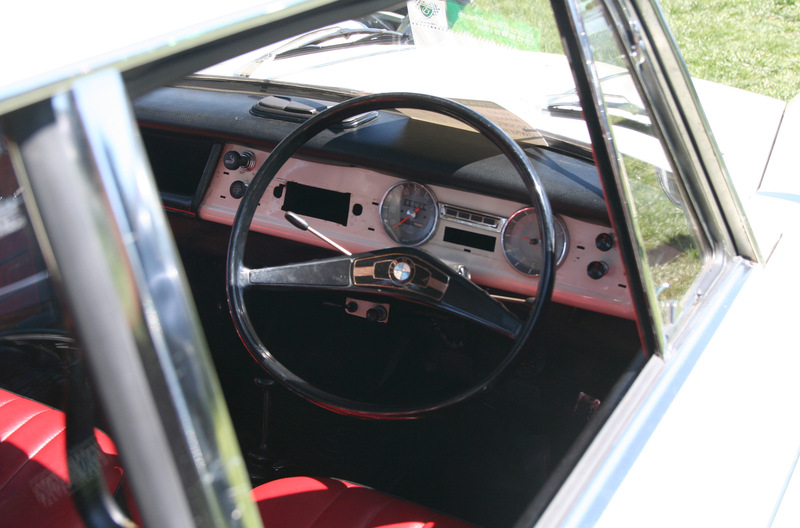 The most significant change came in spring 1962 when BMW, while retaining the car’s wheelbase, extended the body by no less than 32 cm or 12.6″ in order to offer a significant increase in motoring comfort. Awesome write up Liam. Thoroughly enjoyed it! Yeah, that’s right, that’s the car that John Blake (IIRC) drives. Sometimes on its roof, haha. There is also a little white and red Steyr-puch driven by David Currow, often confused for an Arbath. Nice write up. I am a huge fan of the rear engined under 1000cc cars of the era and the 700 would be a great car to have a back to back drive of along with the Sunbeam Imp, and an Arbath.